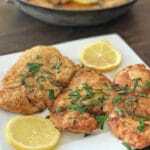 Baked lemon pepper chicken is an easy weeknight dinner that your whole family will love. 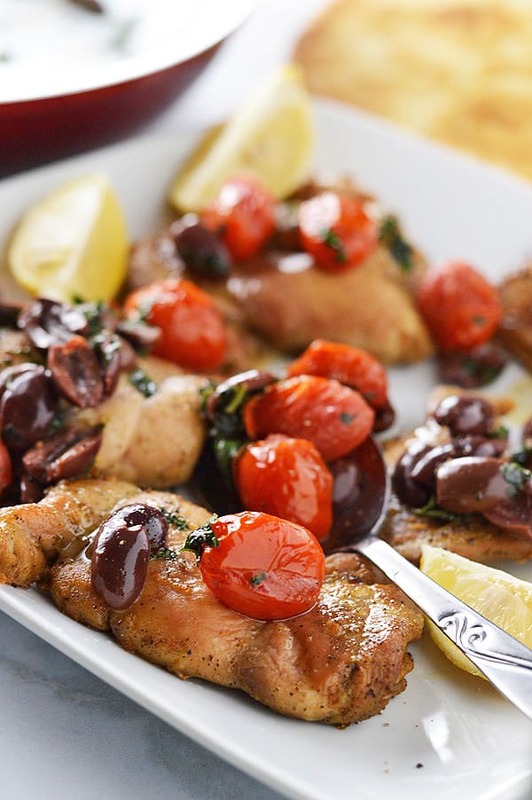 Finish it with this amazing Kalamata olive topping for a stunning look. Who does not like a chicken dinner? especially if it is crazy easy. The kind of a dump and refrigerate dinner. Toss chicken in marinade, refrigerate then bake when ready. The black olive and tomato topping is outstanding. 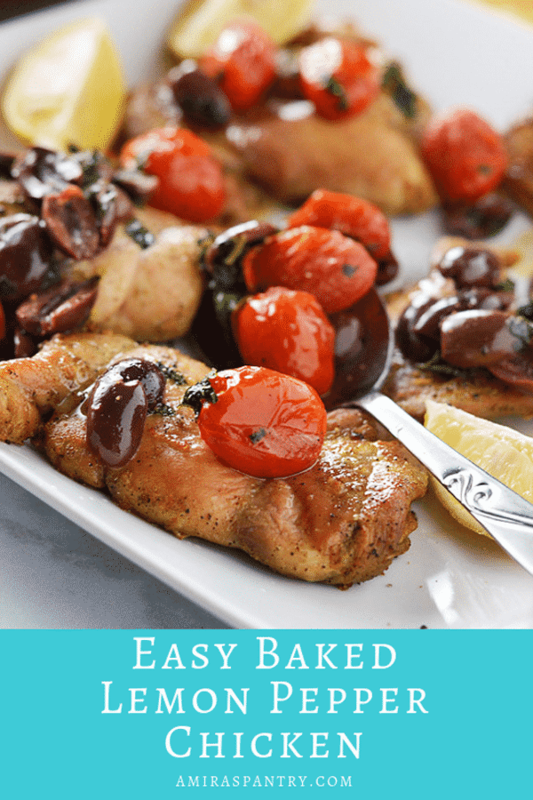 Easy baked lemon chicken can be made with any sort of chicken, just make sure to adjust the cooking time. 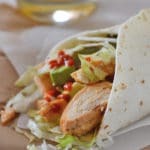 These garlic chicken wraps are so easy to make for a quick dinner. We love lemon in my little family, after dinner each night every one must have a fresh squeeze of lemon. It has been a tradition here, yes we like lemon that much. Even speaking of it makes me drool here. Our best salad dressing is made with lemon and not vinegar, that’s how we do salad here :). I also like to add lemon to my meat, chicken and fish. I was brought up to this and I always feel that lemon brightens the flavors and brings the best in everything… almost. 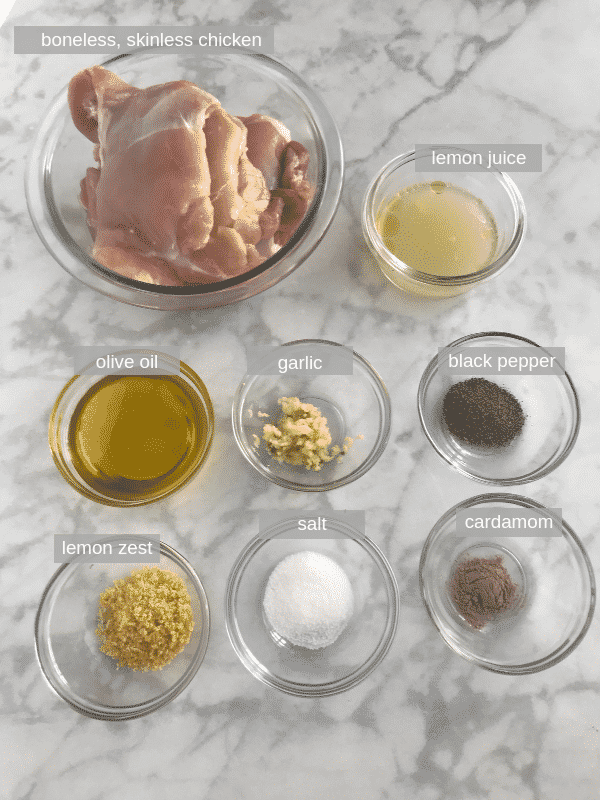 The marinade for the chicken is simple and basic. You can make big batch, keep in refrigerator and bake fresh. This recipe is also freezer friendly. What is lemon pepper seasoning? Lemon pepper is a seasoning simply made of lemon zest and black pepper. As I know it is not available world wide I made my chicken with fresh ingredients instead. So no worries. What can I substitute lemon pepper with? I know that this sort of spice is not available world wide so I opted out. If you have it then great and feel free to substitute. Being a lemon freak, I preferred to use fresh lemon juice and freshly ground black pepper. What side dish goes with lemon pepper chicken? I’ve served it with pita bread, kids had it with plain rice and you can absolutely serve it with pasta. It goes very well with plain side dishes as it lends its unique flavor and aroma to it and let’s not forget about the topping which is seriously addicting. What are the ingredients for the best lemon pepper chicken? Simple ingredients for an easy recipe.. here is what you’ll need: Chicken(any sort even bone-in, skin-on will work), lemon juice, olive oil, garlic, black pepper, lemon zest, salt and cardamom. Cardamom gives chicken a nice flavor and aroma that goes pretty well with any other flavor, and it masks any undesirable smell that you might have in your chicken. In a zip-lock bag, combine the marinade ingredients and mix well. Add chicken, remove air as much as you can and close the bag. Shake to coat the chicken and refrigerate for a couple of hours or overnight. 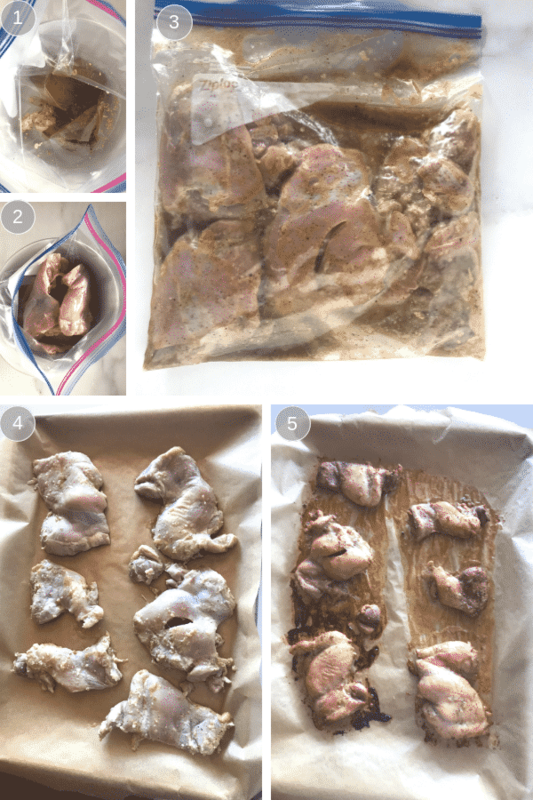 Line a baking sheet with parchment paper and bake chicken in a 350F oven until done. Meanwhile let’s make the topping: melt butter with oil in a pan. Add tomatoes and stir until it is lightly charred and popped. Add Kalamata olives and cook for a minutes. Follow with parsley, mix everything together, then turn heat off. Scoop the topping over the chicken and serve. 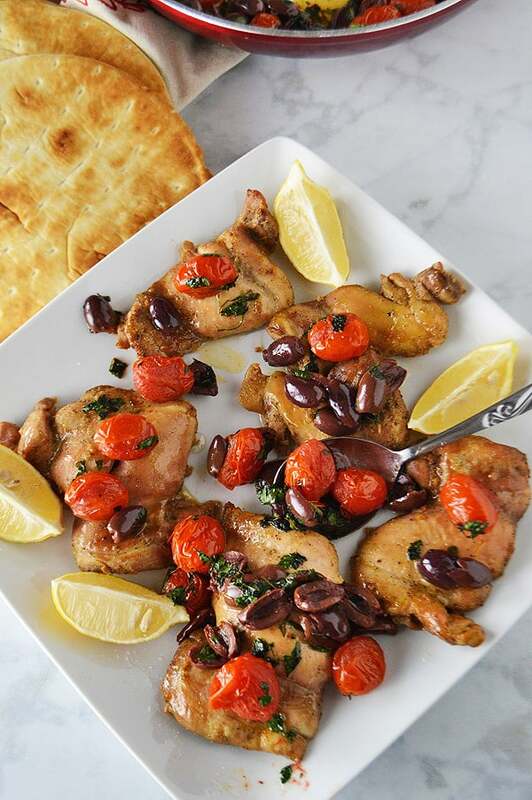 Guys this was seriously amazing with this Kalamata olive topping… so delish. Golden Crispy Chicken Strips . 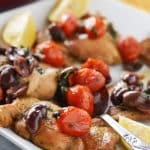 Easy healthy baked lemon chicken with an addicting black olives and tomato topping for a Mediterranean touch. 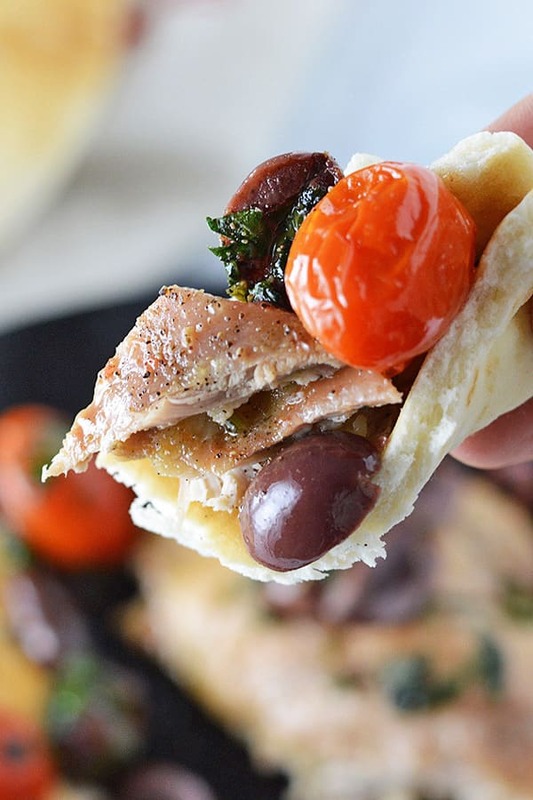 Loaded with flavors and you can make in a hurry with just a few simple ingredients. 1 1/2 Tablespoons lemon zest. 1/2 cup pitted black olives halved. Grill or bake chicken at 350 F for 25-30 minutes. 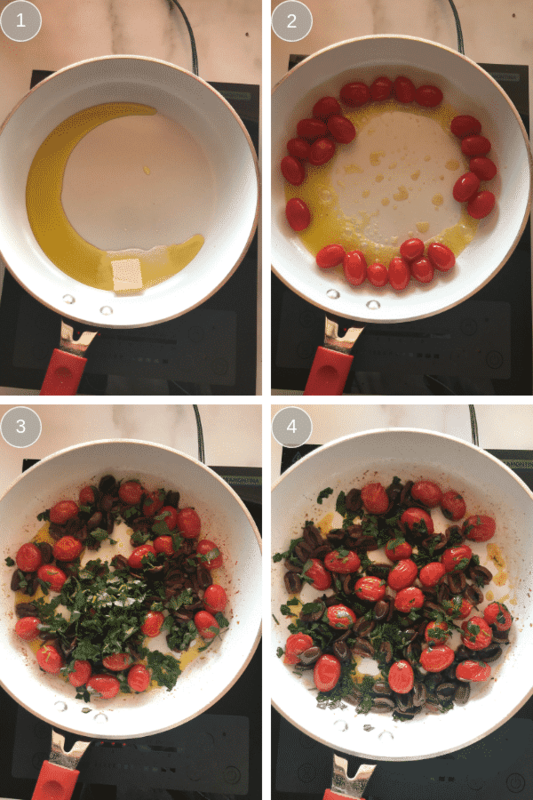 In a skillet over medium heat, add oil and roast tomato until it starts to be squishy. Add olive halves and cook for another minute. Add parsley and stir for another minute or so. Turn heat off. 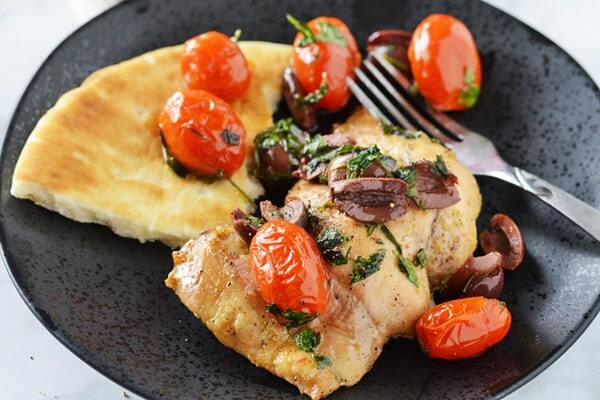 Serve chicken topped with the olive mixture. 1) You can use chicken breast instead. 2) If you are in a hurry reduce to 30 minutes. I just love marinating it longer. 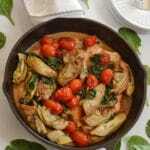 This recipe was delicious, made it for guests last weekend and all asked for the recipe. 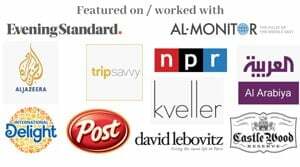 Thanks Amira, I love your recipes. That’s great Betty! So pleased this was enjoyed by all. Thank you for letting me know.